read. watch. listen. 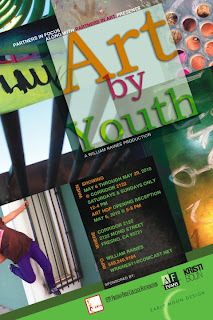 : Don't Miss the Youth Art Show Tonight! Don't Miss the Youth Art Show Tonight! Corridor 2122 has teamed up with Partners in Focus and Partners in Art to bring you work by West Fresno youth, tonight from 5-8pm. You'll see photos, paintings, and prints and get an opportunity to mix and mingle with the young artists.